Hello REVERBerators and welcome to our new website! When we first embarked on this project last year, we knew we wanted a modernized and mobile-optimized site – it was WAY overdue. But we also set out to make it something bigger. 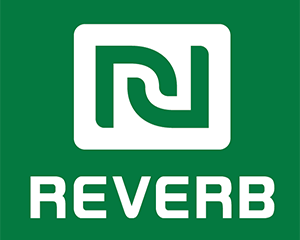 REVERB has grown a lot since we started in 2004, working with more artists, fans, nonprofits, causes, and partners than ever before as we’ve worked toward a better future for people and the planet. And while we’ve made strides in the fight for both, there is a greater need than ever for us all to come together to tackle today’s most pressing issues. So as we built this site, we focused on making it a hub for the music community to do just that – unite around our shared love of music, learn more about issues that effect the planet, and take action to create change. Just like our old site, you’ll be able to find out about the tours, festivals, and venues we’re partnering with, as well as volunteer opportunities at all of them. You’ll also notice we added some new features – like this! We’re going to be running an ongoing newsfeed/blog that will feature more in-depth discussions about our work, highlights of our partners and volunteers, and even some guest posts from some of your favorite artists. We’ve also added a “Take Action” page where you can find opportunities to get involved in all sorts of important causes. We know we’re probably way more excited about our new site than you are, but we hope you’ll visit often, get and stay engaged, and join us as we work toward being the solution. Because we need you. We need us. And there’s power in US.